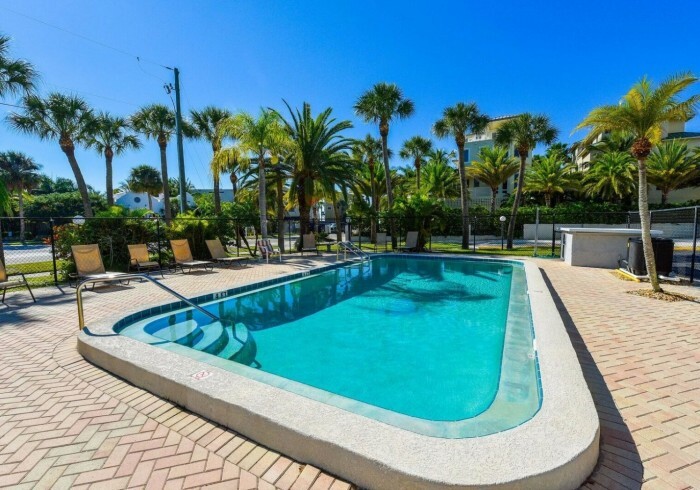 Beautiful property just walking distance to everything in Siesta Key including the #1 beach in the U.S! Included with your stay: Complimentary Bicycles, Beach chairs, Beach-Towels, Free-rides around Siesta and a 7-day week office for your convenience and guest needs. Relax at the Gulf Holiday, private, heated pool. Enjoy the open floor plan with kitchenette. Bedroom includes King bed with pillow top mattress.Furnishings in the living room include a queen sized sleeper sofa bed. This is a perfect vacation spot for couples, small families, or up to four guests. Contact Name : Gulf Holiday .